Welcome, I am delighted that you have chosen to learn more about us and our parish community. We are located in western Howard County and although we are a large community, visitors to our church invariably remark about the friendliness and warmth of the people and staff at St. Louis. Much like our Catholic faith, our parish history and roots run deep, beginning at the Chapel of Doughoregan Manor, home of Charles Carroll of Carrollton (1737-1832), the only Catholic signer of the Declaration of Independence. Our first “public” church was built in 1855, has been lovingly restored and now serves as a wayside chapel for our parish cemetery on Ten Oaks Road. In 1889 our second church, a beautiful stone Gothic chapel, was built on our campus here in Clarksville, and is very much in use today for daily prayer, adoration, baptisms, weddings, and funerals. Our parish continued to experience tremendous growth and in 1980 a new and larger church was built to accommodate that growth. However, continued growth over the last two decades necessitated the building of an even larger church which was dedicated in April of 2006. If I were asked to describe the spirit of this community, I would say that it is a community that is very much in tune with the times–proud to be exceptionally active and involved in a broad array of ministries and activities while at the same time respecting and advocating the basic traditional Christian values that the Gospel proclaims. Please feel free to visit–you are always welcome! PLANNING EASTER SUNDAY MASS: When you make plans for Easter Sunday, please take this information into account. Last year, we had more than 1200 people at the 8:00 am Mass, 1800 people at the 9:30 am Mass and almost 1650 for the 11:15 am Mass. Other Masses—6:30 am (notice the earlier time), 11:15 am in the Evans Gym, and the 12:45 pm—were not filled to overflowing. If you have never experienced the Easter Vigil, for example, come on Holy Saturday evening at 7:30 pm. It lasts a bit longer than a regular Sunday Mass, but it is the most AWESOME Mass of the Liturgical Year. The Easter Bunny will be present Monday, April 22, at 10:00 am for the ANNUAL PARISH EASTER EGG HUNT and over 2000 eggs will be hidden. All children from toddler to fifth grade are welcome to attend. Please RSVP with the number of children attending to Suzy Hill at shill28@verizon.net. This event is sponsored by Catholic Daughters of the Americas Court St. Louis. Camille Saint-Saens' - "Carnival of the Animals"
To view more information visit www.stlconcertseries.org. You may request a statement through the button below. If you include an email address, we will email your statement to you. Contribution statements will be sent on Fridays. We cannot account for loose cash dropped in the collection basket. It’s quick and easy to register as a parishioner at St. Louis Church! Please complete this registration form and bring it with you to the next scheduled New Parishioner Welcome Session. That’s it! The next session will be held May 19 at 12:30 pm in the Pastoral Center Social Hall. The closest thing to a Catholic Netflix is here... don't miss out on this free gift for the entire parish! 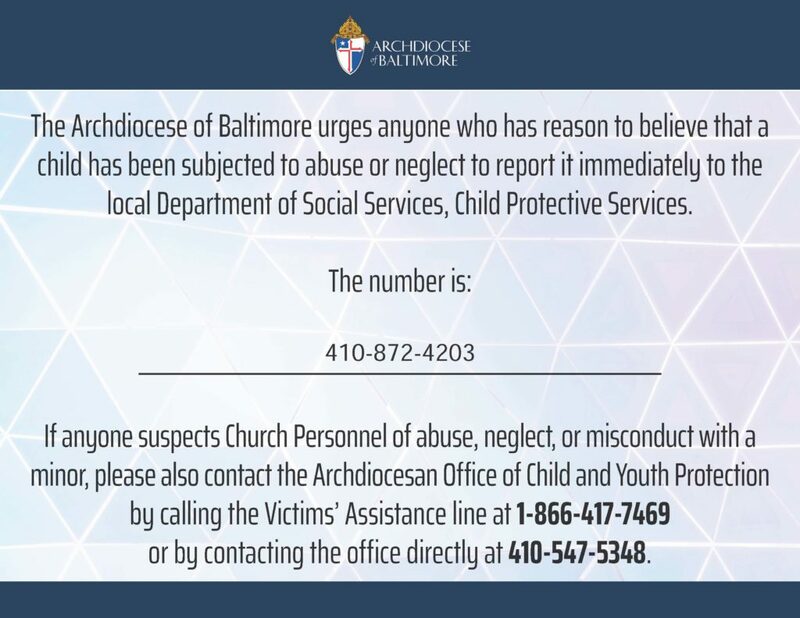 Have you visited the Archdiocese of Baltimore's website? Did you even know there was one? You are encouraged to visit archbalt.org often for the Archbishop's homilies and blog. Learn all about our archdiocesan history, mission, and policies. Sign up to receive bulletins or view pages for ethics reporting, career opportunities, and vocations. 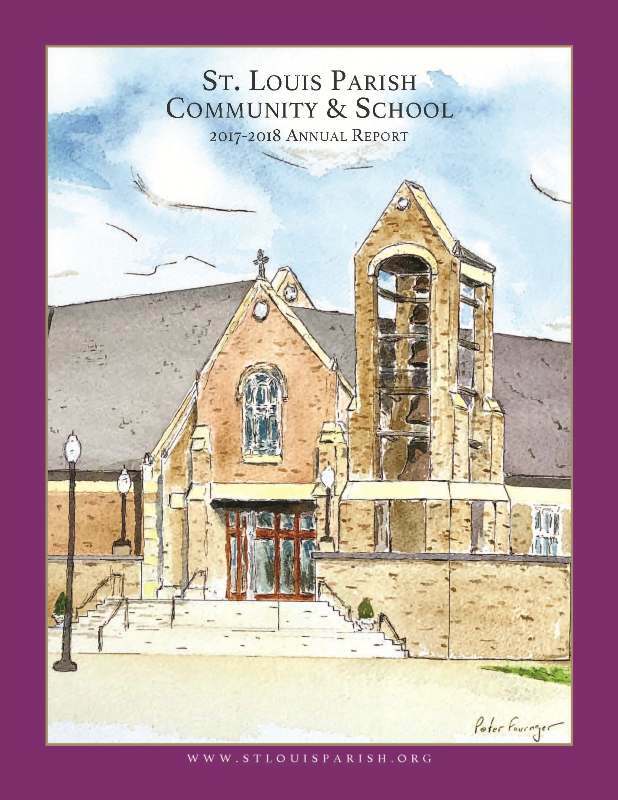 You can also find information about many Archdiocesan ministries, the Archbishop's Annual Appeal, and the past few years' annual reports of income and expenditure. It's a wealth of information!